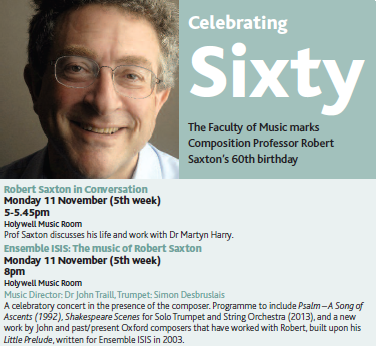 A fabulous concert celebrating the music of Robert Saxton. The programme included Simon Desbruslais performing both trumpet concertos, and the premiere of Rhapsodic Variations on Robert Saxton’s Little Prelude that I organised and wrote the final variation for (thank to the other composers John Caldwell, Thomas Hyde, Deborah Pritchard, William Marshall, Samantha Fernando, Nirmali Fenn, Guy Newbury, and Martyn Harry). 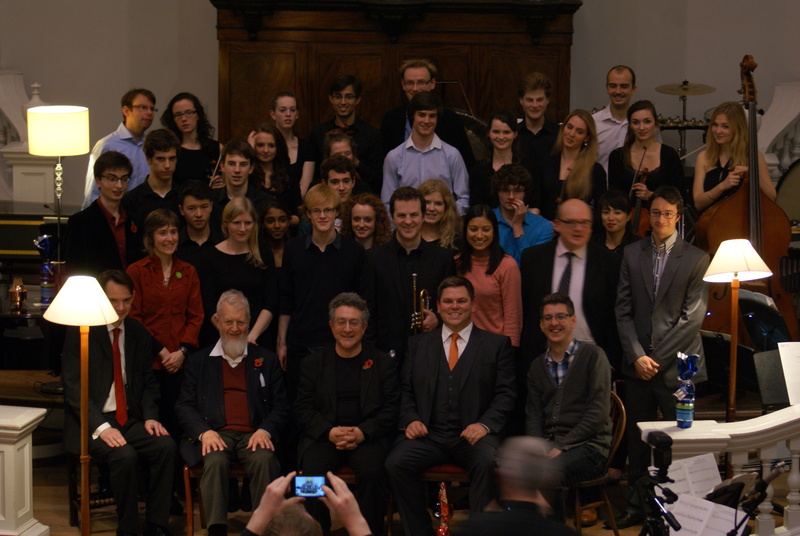 Lovely to return the favour (Robert wrote his Little Prelude for me in 2003)!